This Venture Sheath features a rugged leather design that will look great with any fixed blade knife. 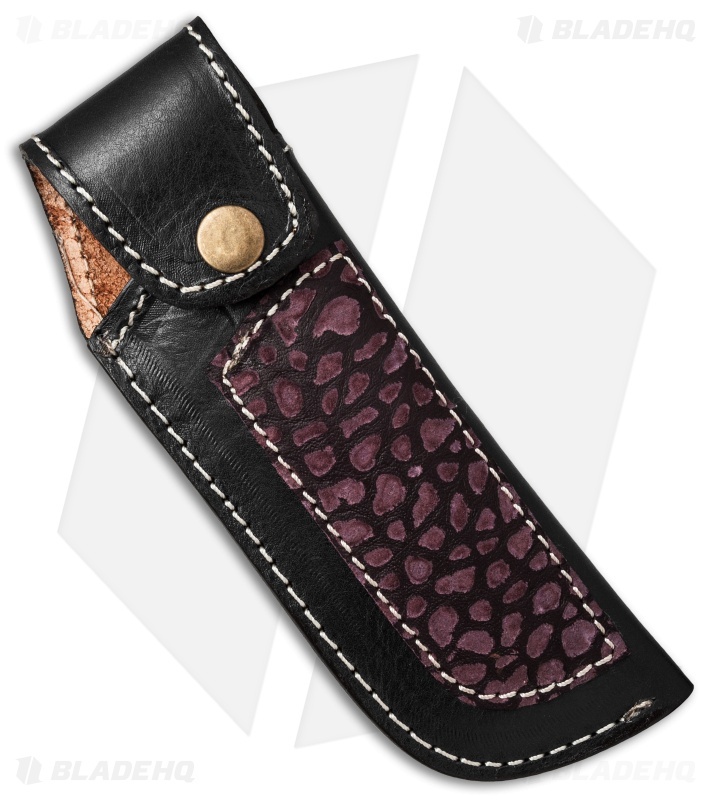 It's made from black leather with white stitching and an embossed purple overlay. This model measures approximately 7.5" by 2.5" for larger sized blades. 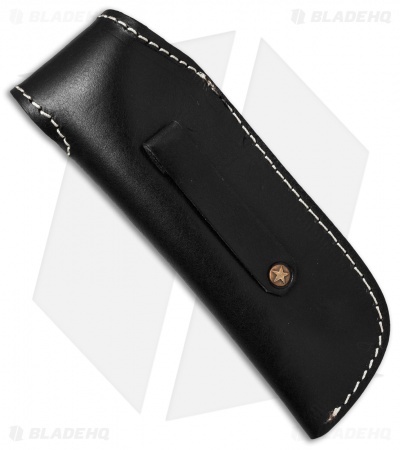 Includes a leather belt loop and a button clasp. Protect your favorite blades in style with a Venture leather sheath.